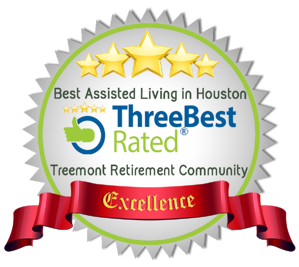 Handpicked Top 3 Assisted Living Facilities in Houston, TX. 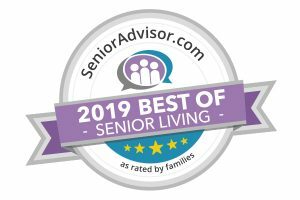 How do we actually find the most highly rated assisted living facility? Our 50-Point Inspection includes everything from checking reputation, history, complaints, local reviews, nearness, satisfaction, trust and cost to the general excellence. That's not all... businesses do not pay us to list them. You deserve only the best! Third Year in a Row, 2017, 2018 and 2019! 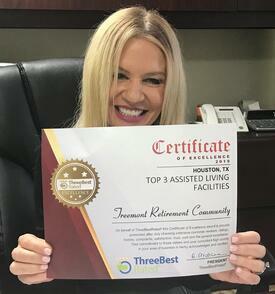 "On behalf of Three Best Rated this Certificate of Excellence award is proudly presented after duly checking extensive customer reviews, ratings, history, complaints, satisfaction, trust, cost and the general excellence. Your commitment to these values and your consistent high quality in your area of business is hereby acknowledged and certified." Price: Independent Living: Starts at $1,700 monthly; Independence Plus starts at $2,200; Assisted Living starts at $3,900 monthly. 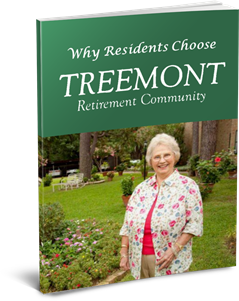 Treemont is a great retirement home for seniors! The facility was well organized, clean and the residents who live there looked happy when we were there to visit. Some of the residents came to talk to us, told us how wonderful the place was, how much they enjoyed the activities of the facility.... To staff were very friendly and helpful, answered our questions patiently. 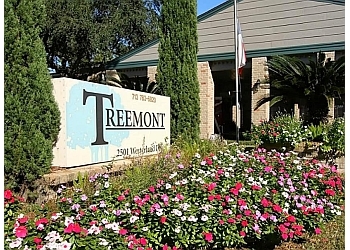 I think Treemont is a great choice for the seniors. 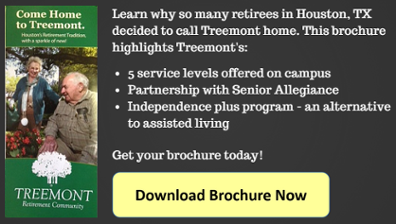 Call 713-783-6820 today to discuss options and get your questions answered or visit them online at www.Treemont.com.